National Coalition President Melanie L. Campbellis the winner of the Walter Lawson Community service award from the National Organization of Black Law Enforcement. Executives. ‪#‎powerofthesistervote‬. She addressed the group Wednesday, July 20 in Washington, D.C.
After two days in which two Black lives were taken by police and now last night's murder of five Dallas police officers who were merely doing their jobs protecting peaceful protesters,I am stunned and heartbroken. This is a time that is so hard to grasp where it will end up for Black people and the nation as as whole. The National Coalition on Black Civic Participation joins the nation in praying for the police officers families who were gunned down so senselessly as well as the victims who are in hospital fighting for their lives. It is our hope that this nation find strength in prayer and in unity." The National Coalition on Black Civic Participation is calling on the U.S. Justice Department Civil Rights Division to conduct an immediate investigation into the police killing of Philando Castile. Castile was shot to death last night by a police officer during a routine traffic stop where witnesses report he did nothing but reach for his license and registration as requested. This is the second time in 72 hours this nation must bear witness to outrageous conduct by white police officers who seem to have a mindset that when it comes to Black suspects the rule of thumb is to shoot first and ask questions later. Our hearts and prayers are with the family of Philando Castile. We stand in solidarity with the Castile family, civil rights and social justice community in their call for justice in the killing of their loved one. The National Coalition on Black Civic Participation is outraged at the unjust killing of Mr. Alton Sterling by two white police officers in Baton Rouge, Louisiana. We fully support the U. S. Justice Department Civil Rights Division's swift decision to investigate the horrific killing of Alton Sterling. Our prayers are with the Sterling family and we join them in solidarity in their call for answers and justice in this senseless killing of their loved one. . The National Coalition joins in the sorrow of its national president and CEO Melanie Campbell in the passing of her mother- Mrs. Janet S. Campbell. The homegoing celebration for Mrs Campbell was held in Mims Florida June 22-23. In lieu of flowers, The Campbell Family is encouraging donations to the following: Via Paypal janetcampbelllegacy@gmail.com . More than 400 black men and boys attended the National Coalition on Black Civic Participation (NCBCP)'s program, Black Youth Vote 2016 BYV! Day on Capitol Hill under the theme,"Moving From Protest to Policy to the Polls!". The youth from all over the country including attended a forum on Capitol Hill which includes speakers such as NCBCP President & CEO Melanie L. Campbell, BYV! Hill Day national coordinator Rev. Tony Lee and Congressman Emanuel Cleaver (D-MO). They then paid visits to several members of Congress to discuss issues of importance including Jobs, Education, Criminal Justice Reform, Fatherhood and Voting Rights. The organization also has placed the importance of increasing incentives and support to Historically Black Colleges and Universities to attract more black male teachers and educators. Black Youth Vote Holds Annual Training Conference in Washington, D.C.
As part of its movement building and organizing strategy, Black Youth Vote! (BYV), the youth-led civil rights and social justice arm of the National Coalition on Black Civic Participation (NCBCP), is hosting its 12th Annual Civic Leadership and Organizing Training Conference (BYV '16) on April 28-30, 2016, Service Employees International Union (SEIU) Headquarters at 1800 Massachusetts Avenue NW, Washington, DC. "The National Coalition on Black Civic Participation joins other civil rights, social justice and community-based organizations in applauding the U. S. Supreme Court decision that states may satisfy “one person, one vote” rules by drawing election districts based on the total population of the state or legislative district," said Melanie L. Campbell, president & CEO of the National Coalition on Black Civic Participation. NCBCP President & CEO, Melanie L. Campbell, will participate in a US Public Diplomacy Speaker Project for the U.S. Embassy in Argentina on April 3 – 9, 2016. The one-week lecture series is in Recognition of UN Decade of People of African Descent. Campbell will share civic engagement strategies to engage minority groups in the democratic process at the local, state, and national levels. The specific focus will be on minority youth and women in recognition of the UN Decade for People of African Descent. The audiences will be diverse – government, public and private universities, think tanks, foundations, NGOs, and USG exchange program alumni in the Province of Buenos Aires and Province of Rosario. We are pleased that President Obama has fulfilled his Constitutional responsibility by nominating The Honorable Merrick Brian Garland as his choice to fill vacancy left by the untimely passing of the late Justice Antonin Scalia.. As head of the NCBCP and convener of the Black Women’s Roundtable, we are disappointed and had hoped that an African-American woman would be nominated. We have and will continue to advocate for the next Supreme Court vacancy to be filled by an exceptional black woman to bring about a balance that ensures the court is more representative of all Americans. 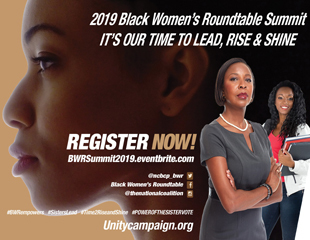 Hundreds of Black women and girls from around the country will convene in the Washington, DC area Thursday, March 17, 2016 – Sunday, March 20, 2016 for the Black Women's Roundtable Women of Power National Summit. 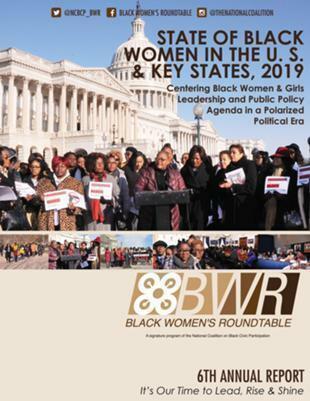 The three-day summit celebrates Women's History Month and includes a wide range of organizing and empowerment activities including a BWR Public Policy Day on Capitol Hill March 17 as well as forums, panels and other activities at the Washington Court Hotel located at 525 New Jersey Avenue, NW. The summit will culminate with a “Sistars Awards” Ceremony on Saturday, March 19th. The National Coalition on Black Civic Participation joins the nation in mourning the passing of U. S. Supreme Court Justice Antonin Scalia. We send up our prayers and condolences to Justice Scalia’s family. While many of his policies were not congruent to unbiased civic engagement, he was the longest serving Justice on the Court. It is our hope that President Obama will nominate someone who can serve the Supreme Court with compassion and a sense of justice particularly in matters such as civil rights, voting rights, reproductive justice, fair housing, education, marriage equality, immigration, racial and ethnic discrimination. The National Coalition on Black Civic Participation (NCBCP) stands in solidarity with President Obama on his executive action taken today focused on saving American lives from the impact of gun violence in the United States. Tragedies related to gun violence have become an everyday event. Currently reading page 3 of 15.